Hunters Estate Agents and Letting Agents Redditch have been operating in and around the district since 2017. Richard Hadley, Franchise owner, formerly owned Hadley & Co which had been in the area for over a decade. Richard has lived in the area all his life apart from a few years at University. His academic background was in project/business management, but started dealing in property personally from 1998. Hadley & Co was born out of a bedroom in Redditch in 2003. Since then the housing market and industry has changed hugely so took a huge step forward and joined one of the largest estate agencies nationwide. Looking to sell your Redditch property? Why not get the process started with your free, no-obligation valuation? Choose from a free online valuation that can be completed in minutes or arrange for one of our property experts to view your house in person. In order to provide the level of service that Hunters Estate Agents and Letting Agents Redditch are proud of nothing is more important than the people who are in the business. The team at Hunters Redditch are privileged to have some very experienced and capable team members, who can also offer the personal touch demanded. None more so than Kathryn Loynes, who manages the lettings team: Tracey Clarke, Alice Coley, Tom Cleaveley, and Christopher Abbett, who manages the sales team: Susanna Cookes, Kelby Pierpoint and Tom. Both of them are hugely experienced and have worked previously in corporate and other independent agencies and both been brought up in the area and still live locally. I think this is extremely important with regard to knowing the property and surrounding area, but equally for understanding what local people generally want when it comes to property. Hunters Estate Agents and Letting Agents Redditch specialise in all areas of property sales, resales, new homes, investments, land and commercial property and so to in property lettings and management, both residential and commercial. The team at Hunters Redditch look to provide services to whole of market and have experience in all property values. The portfolios at the branch are in excess of £2,000,000 and they have sold executive and country homes in excess of £1,300,000. Similarly Hunters Redditch deal with investment properties from £50,000 upwards and anything between the two. They also offer rooms To Let from £85 per week, an array of traditional and contemporary rental accommodation in both town , village and rural locations right up to £2300 per month. Hunters Redditch tend to attract those landlords, investors, vendors and developers who are a little more discerning with regard to the market and also demand a professional, proactive but personal touch. The Hunters Estate Agents and Letting Agents Redditch branch always take pride in themselves, their services but also their image, from presentation of the office, the team, literature, website and marketing in general to ensure that their managers and senior staff are available to speak to you personally. That comes from the roots of the business, which are from a project engineering in the automotive industry, where clarity, research, planning, looks and reliability are key and this has been adapted into the property world from a bedroom. I think these are the seeds that has made us grow into something unique and that our long term clients appreciate. A very professional business. 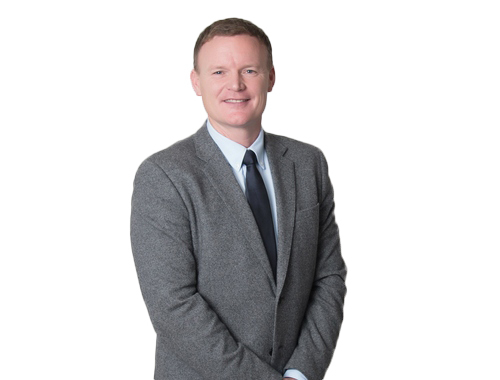 Richard and his team have managed my portfolio of rental properties for the past four years , I have also used their services to purchase and sell properties. Their customer care and attention to detail is excellent. I have total confidence and trust in the service and advice. I would absolutely recommend them. Really excellent support and professionalism from Kelby at Hunters. She drove all parties through what was a tricky sale, without her we wouldn't of moved in time. I would highly recommend using Hunters. VAT Reg No: 976 3220 08 | Registered No: 6991478 | Registered Office: 8 Church Green East, Redditch, B98 8BP. A Hunters franchise owned and operated under licence by Hadley & Co (Sales) Ltd.
VAT Reg No: 100 0490 88 | Registered No: 6991408 | Registered Office: 8 Church Green East, Redditch, B98 8BP. A Hunters franchise owned and operated under licence by Hadley & Co (Lettings) Ltd.
Redditch is a beautiful town located 15 miles outside of Birmingham and has a wealth of culture for buyers and renters to immerse themselves in. With a population of just under 100,000 this is a town where you can know as many, or as few of your neighours as you want to. Once, Redditch was the international centre for the needle and fishing tackle industries, now it combines beautiful elements of old and new to create an incredible location which is perfect to make your next home. The town dates back as far as the 12th century when the gorgeous abbey at Bordesley in the valley of the River Arrow. In the following three centuries a number of families chose to make this location their home; their hamlet became known as La Redditch. It wasn't until 1964 that the village was designated as a New Town after becoming known as the needle and fishing tackle hub of England. This designation allowed for extensive redevelopments and expansion. Today, the traditional industries that put Redditch on the map have faded into the background, and have been replaced by a wide range of light industries and other services. It is also a popular commuter location for professionals working in Birmingham who want to live outside of the busyness of England's second largest city. Redditch is filled with idyllic parks, historical museums and picturesque spas. If you're in need of some retail therapy, the town also has a number of shopping developments as well as boutique stores that can satisfy the most discerning of shoppers. If you're feeling like something more lively that you can do with the entire family then there are plenty of options. There are trampoline parks for the whole family, soft play centres for the kids, and nearby wildlife parks which will delight every member of the family for hours on end. Venture just outside of Redditch and there is even more to do, with sprawling woodlands, manor museums and water parks. For those choosing to make Redditch their home, there are a multitude of options both in the renting and buying markets. Studios can be bought for as little as £68,000, or rented from just £350 per calendar month. Homes in the area gradually progress up to being four and five bedroomed family homes which can be purchased for between £200,000 and £600,000. Similar homes are on the rental market for anywhere between £800pcm and £1700pcm. This is a great location for both families and professionals alike, with great transport links to Birmingham and a number of great schools which cater to many denominations. There are private and state schools of all sizes, so whether you're looking for a small school with a village feeling, or something larger that encompasses metropolitan life for a younger audience, there's something for you. Whether you're buying your first home in the area, moving to something bigger, or downsizing to be closer to Birmingham, Hunters is here to help you find your next home. Our agents are local area experts and know that each person has different needs when considering an area. Whatever your needs are, we're here to get you there, so get in touch today and find out how we can help you.